Zucchini Fries are the perfect way to enjoy fresh garden zucchini and are perfect served as an appetizer or a side dish! 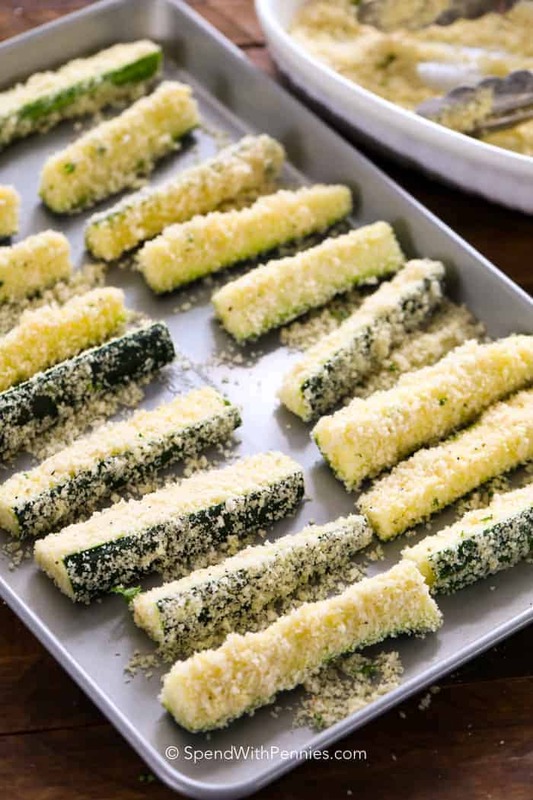 Crispy and crunchy with tender zucchini inside, these parmesan zucchini fries are going to be your new favorite snack! 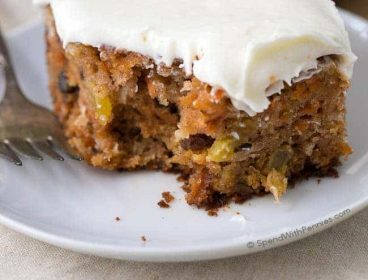 When my garden is overflowing with zucchini, you can find me making all of my favorites like Easy Baked Zucchini and even putting it in desserts and creating Zucchini Brownies. 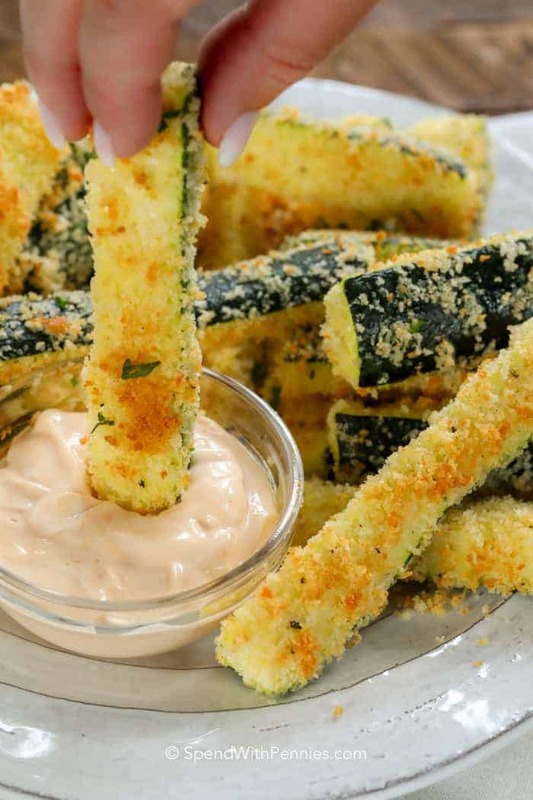 These easy zucchini fries are a favorite for a quick and easy snack. I love crispy Baked Zucchini Fries! These are lightly breaded with a combo of Panko bread crumbs & parmesan and baked in the oven for the perfect guilt free bite! Once baked crisp, we love to dip and dunk these into ranch dressing, warm marinara sauce or Spicy Dill Dip! How Do You Make Oven Fried Zucchini? Cut zucchini into wedges leaving the skin on. Combine panko and parmesan cheese in a bowl with a touch olive oil. Adding the oil at this time will help the coating crisp up. Beat egg and milk, and toss with zucchini slices. Dip each zucchini into the crumb mixture. Press the crumbs to each zucchini stick to help them adhere. 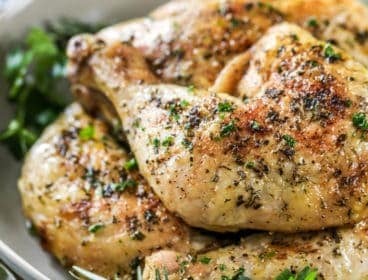 Bake in a hot oven on a parchment lined pan. How Long Do You Bake Zucchini Fries? It depends on their thickness, I usually do them about 15 minutes (give or take), you want them tender crisp. If you want to make oven fried zucchini slices, they will only take about 10-12 minutes to bake, flipping about half way to ensure they are brown on both sides. Since this zucchini fries recipe is baked in the oven and has very little oil, they are a relatively healthy option when compared to its deep fried counterpart. If you are watching your waistline, they’re much lower in calories. 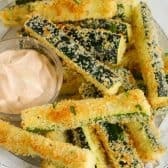 If you’d like to make zucchini fries without breadcrumbs for a low carb option, you can use extra parmesan cheese or even a bit of almond flour. Parmesan Zucchini Fries are simple to make, tasty and satisfying for the perfect appetizer, snack or a side dish! Every year I grow zucchini in the garden and I try to find creative ways to use it up! 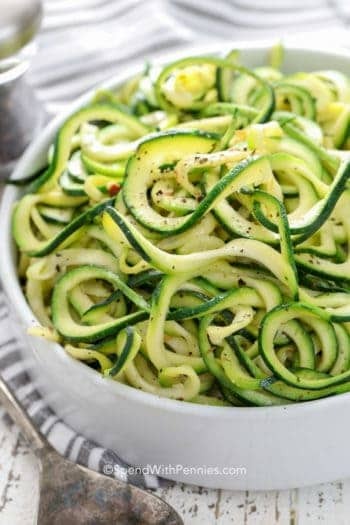 From Zucchini Bread, to Grilled Zucchini and spiralized Zucchini Salad, the possibilities are endless! Garden Fresh Bruschetta – Garden fresh! 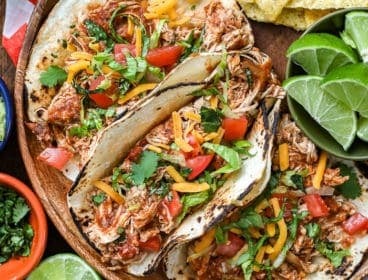 5 Minute Taco Dip – Party Favorite!! 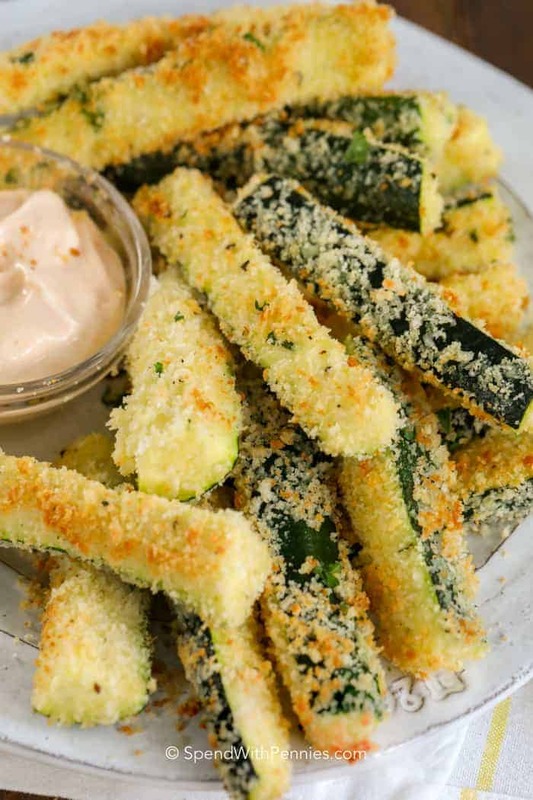 Tender zucchini fries with a simple crispy parmesan Panko coating. Combine Panko Bread Crumbs, Parmesan Cheese, Pepper & Olive oil. Mix well and set aside. Wash zucchini and cut into fries (leaving skin on). Beat egg & milk together. 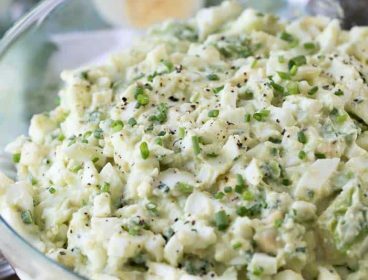 Toss zucchini in the egg and milk mixture. 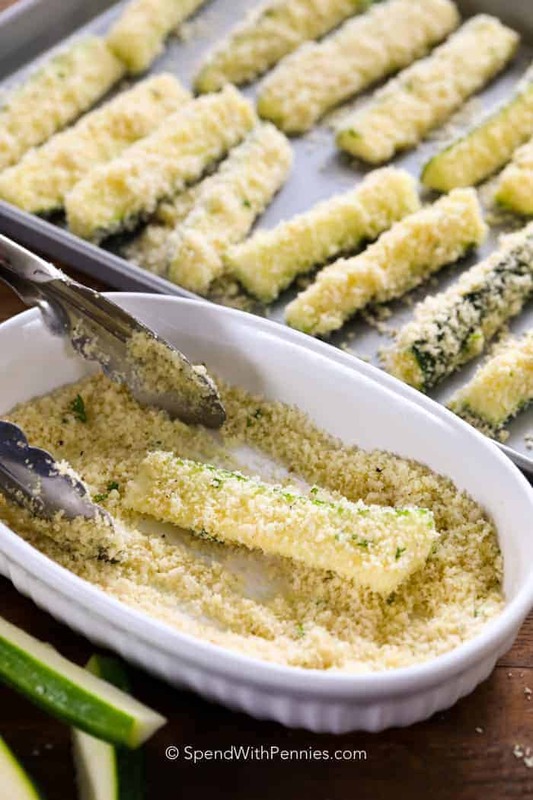 Dip each zucchini fry into the bread crumb mixture pressing the crumbs to make sure they stick. Place on a parchment lined pan and spray with cooking spray. Bake 18-20 minutes or until crust is crispy. Nutritional information accounts for the use of half of the breadcrumb coating (there will be extra). Does not include dip. Original recipe & photos appeared on Spend with Pennies June 2013. It’s a spicy smoked pepper usually found in the Mexican food aisle. You can also buy them online here. Looks grrat . 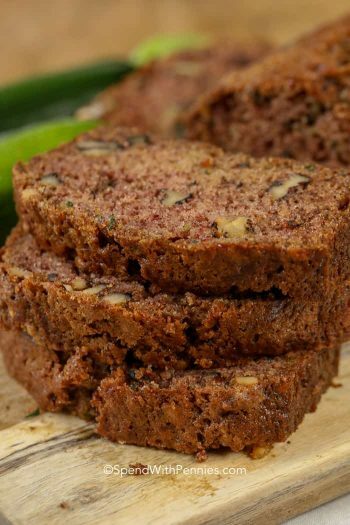 Do you bake them at a high temp of 400-450 or more around 375? I bake them at 400 to crisp the outside. 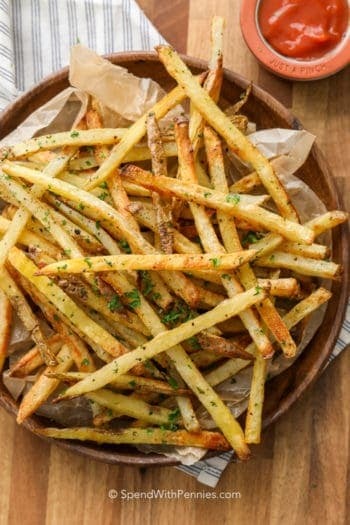 Do you spray just the parchment paper with cooking spray or spay both the “fries” and the paper. Just the zucchini fries need to be sprayed. 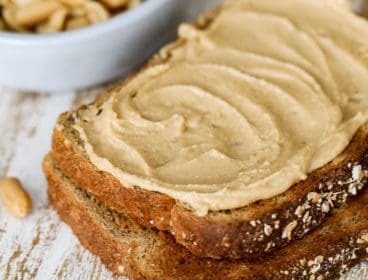 Could you please tell me the calorie count for these. Thank you. 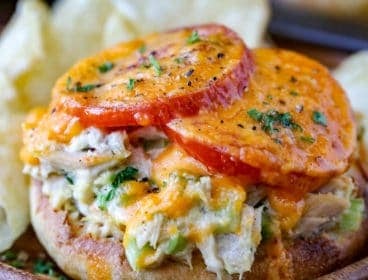 That chipotle mayo is calling my name! Thanks for linking up with What’s Cookin’ Wednesday! 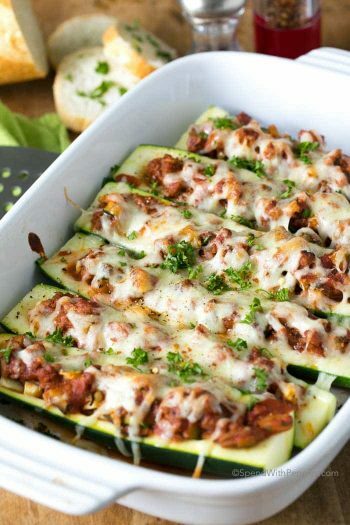 I love anything zucchini Can’t wait to give this a try. Thanks for sharing at Inspire Us Thursday.. I love these. Will have to try the chipotle mayo! Will be a change from plain ol’ Ranch dressing. 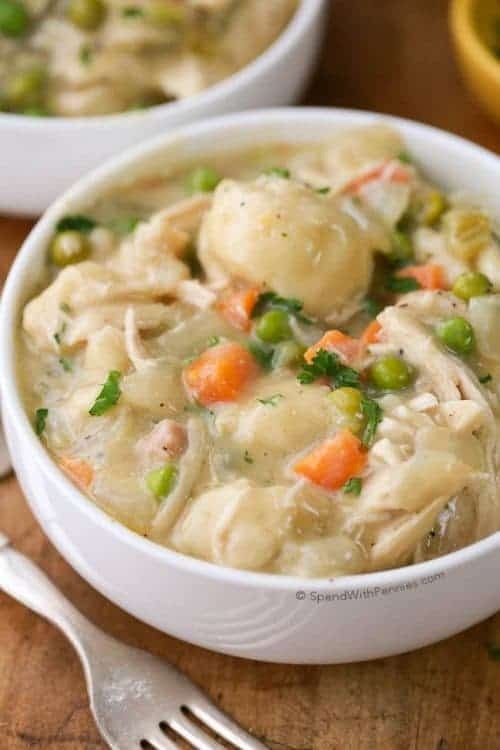 This is a great recipe that we will love, thanks for sharing! 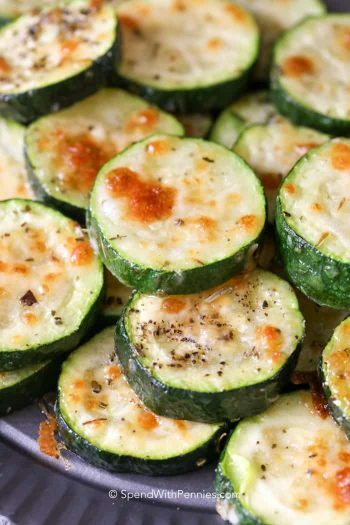 These look so good, I LOVE making zucchini fries in the summertime! The chipotle mayo sounds like the perfect thing to have with these, I’ll have to give that a try next time! Thanks for sharing, it sounds wonderful! Pinning these. My niece calls zucchini the new potato. Wait until I make these for her. These sounds yummy. I’ve had these at restaurants and always enjoy them, should try it out myself.